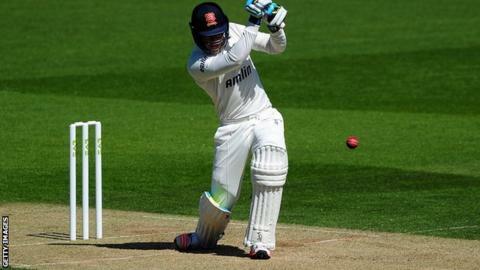 Essex batsman Dan Lawrence has signed a new contract which keeps him with the club until the end of the 2017 season. The 18-year-old became the third-youngest player to make a County Championship century earlier this year when he scored 161 at Surrey. "I'm always looking to improve, and I'm delighted to have the chance to do this at Essex," he told the club's website. "This season has been a real learning curve personally, with the highlight being my century against Surrey." He added: "I've also been playing for the England U19s, which has been crucial for my development."